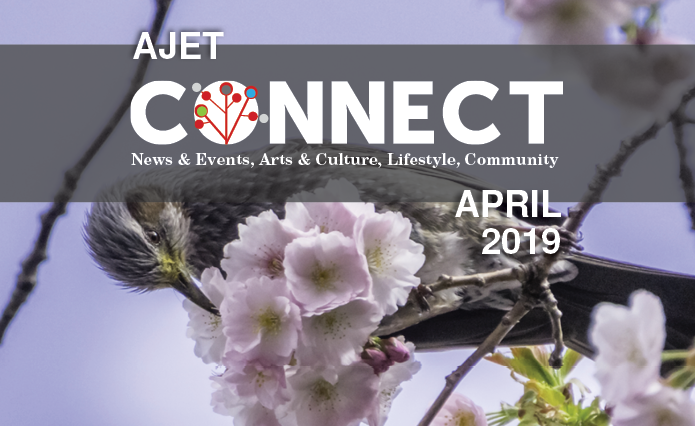 The sakura are blooming, school is starting up again, and the newest issue of Connect Magazine is here! In our April issue, two Street Fighter fans share their experiences at EVO Japan 2019, while other ALTs share tips, tricks, and personal anecdotes about running marathons, doing mixed martial arts, and hiking in Japan. Fitting the spring theme of new beginnings, one ALT reflects back on the transformative nature of the JET Programme, both for themselves and ALTs as a whole. We also have two great write-ups on folk music and the Japanese EDM scene, though if you’re wanting something more traditional, there’s also a breakdown of Japan’s doll festival and a closer look at the unique nature of Okinawan culture. Make sure not to miss out on the first spring Connect issue of 2019!